It's cold in my part of Texas, really cold. On the way to school this morning, it was 14 degrees. It hasn't been that cold here since 1996. School was cancelled yesterday because of ice, so when I saw this project at True Up, it sounded like a good way to waste some time. It was fun, and my Sharpie collection finally came in handy for something other than labeling boxes. I can't think of why I would ever have purchased a yellow Sharpie, but it was perfect for this! The only bad thing; it is smelly with the rubbing alcohol and Sharpie thing going on and with the temperature being colder than its been in over a decade, I wasn't about to open a window or work outside. 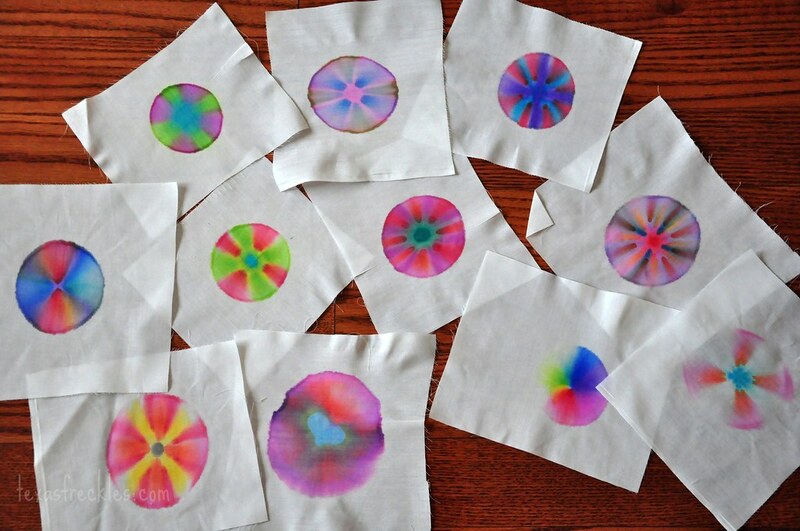 When we finished the Sharpie circles, I pressed them with a warm iron (I read it will set the color), washed a couple to see if they bled (they didn't) and decided to do something with a few of them. I made Shea another placemat. 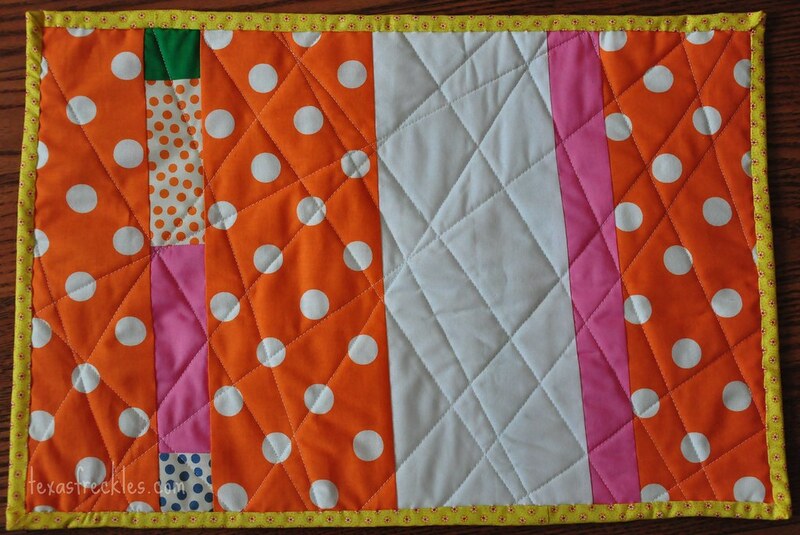 I was loving it until I quilted it. 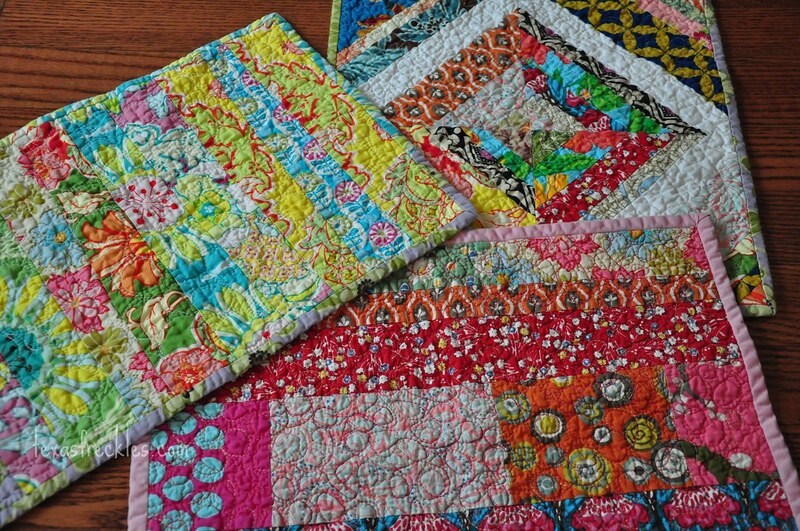 I don't like the quilting, but that's what I use these placemats for is trying new things. I don't think I pinned it sufficiently, because I was having trouble with puckering, which I've never had before and I did use a walking foot. I like the back better than the front. Maybe the back should be the front. 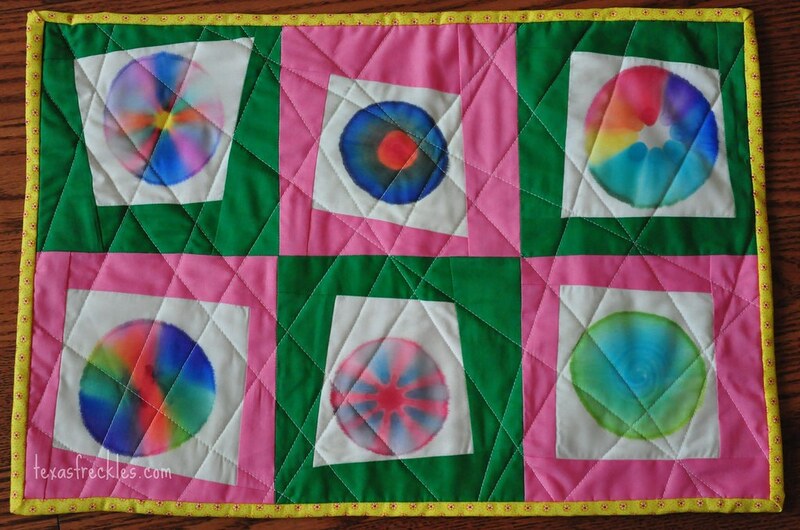 I'm anxious to wash it and see how this quilting looks post-washing. I've made placemats to try out pebble quilting and I turned my test string quilt block into a placemat. I also tried sewing on a binding entirely by machine. I'm going to stick with finishing bindings by hand, but I think Shea appreciates the fun colors under her waffles each morning, regardless of the binding technique used. I still need to bind the scrappy log cabin, but I've got another project I can't wait to start on. 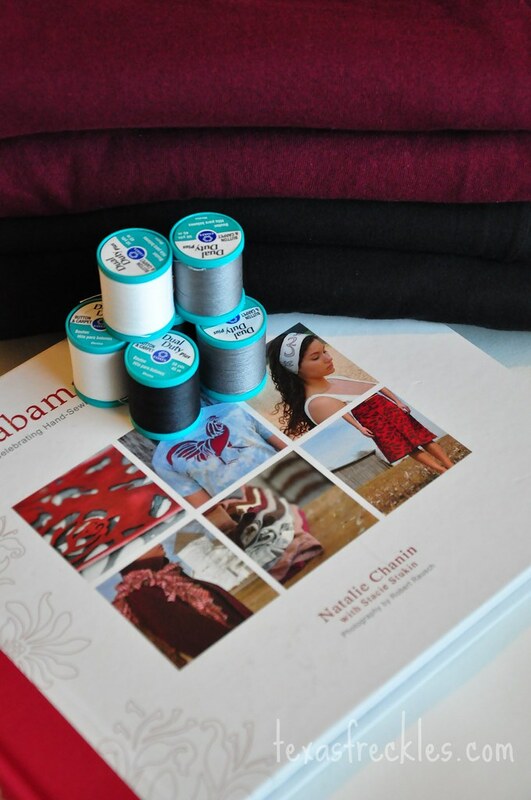 My hubby bought me the Alabama Stitch Book for Christmas and I have my washed t-shirts ready to go. I'm going to experiment with thread colors and see which one I like best. I'm planning on making the skirt, black outside with magenta on the underside. Wow, I guess that is cold for Texas. Although, I am used to it here. I wish you more warm days soon. But you certainly have made great use of your indoor time. I love the project that you made, just way too cute!! Love your post, very colorful. I love your sharpie experiments. the colors are so vivid, I'd love to know if they keep their color. 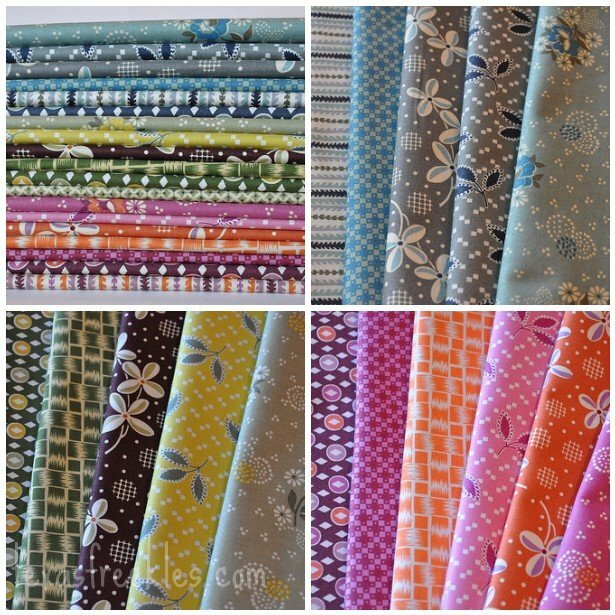 I've tried pebble quilting before and found it so time consuming but it would be perfect for place mats:) Have fun with your hope valley, I'm probably going to end up waiting too long and regretting it but I can't justify more fabric until I use some of my overwhelming stash.